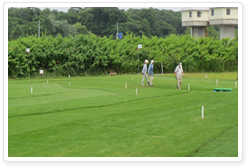 “Park Golf” was devised as outdoor sports in Hokkaido. It has become popular in Atsuma because anyone can do it easily on grass in park. 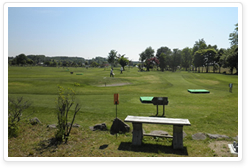 There are three park golf courses in Atsuma, for the health promotion and enjoying authentic as sports. Each course has set that makes the best use of each feature and corresponds to the wide range of ages from children to the elderly. Let’s try to capture each course. 1,861 m length, 36 holes, Free of charge Equipments are also available with free rental. Enjoy a leisurely Park golf facility in full-fledged natural grass. Park Golf is a sport which is similar to golf where you can feel free to enjoy from children to the elderly. 859 m length, 18 holes, Free of charge Equipments are also available with free rental. The course was finished with strategic holes as easily influenced by the wind. 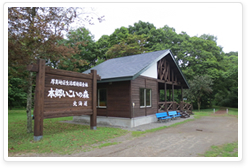 Open for free, surrounded by forests in Hongo, 12 holes Equipments are also available with free rental. This course of 12H is a small and for enjoying in a relaxed manner, rather than a strategy. Enjoy Park Golf Course and relax in authentic natural grass. Copyright © 2012 厚真観光協会 All Rights Reserved.